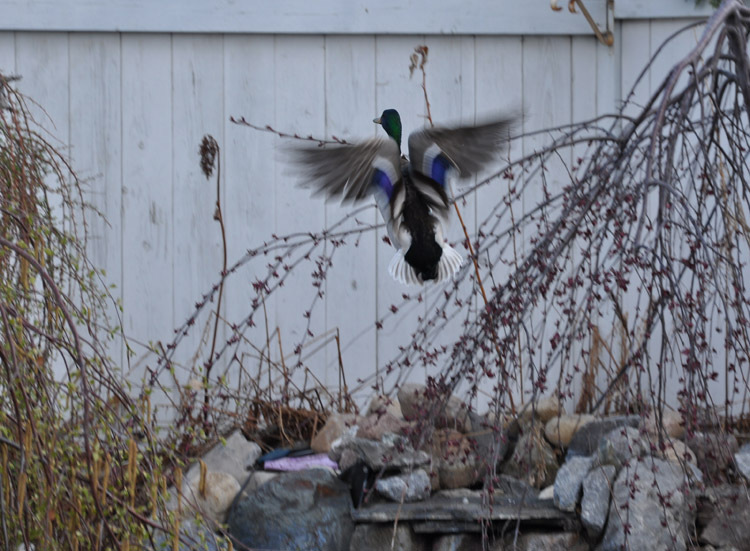 Over the past week I’ve noticed a pair of ducks hanging around the neighbourhood. Friday night Don found them swimming in our pond. 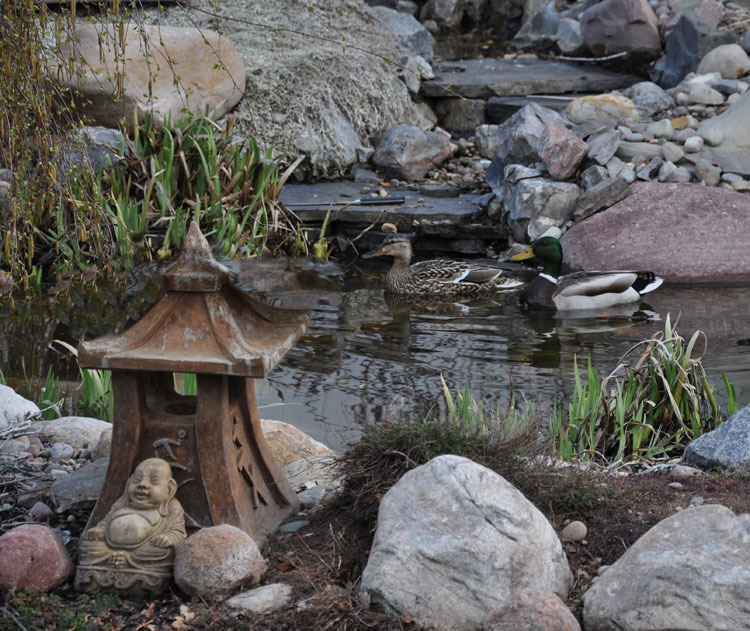 As much as I would love to have a pair of ducks nesting in our yard…..it is just not safe with the dogs. I would be sick if Tango caught one of them or their ducklings. The female had a good feed on my Irises while her mate just paddled around. Don did manage to get a bunch of pictures before they were spooked by the dogs. I’ve always thought of the females as being very colourless and drab. If y0u look at the picture of the female flying off you can see she has the same amazing blue/purple feature on her wings that the male has. 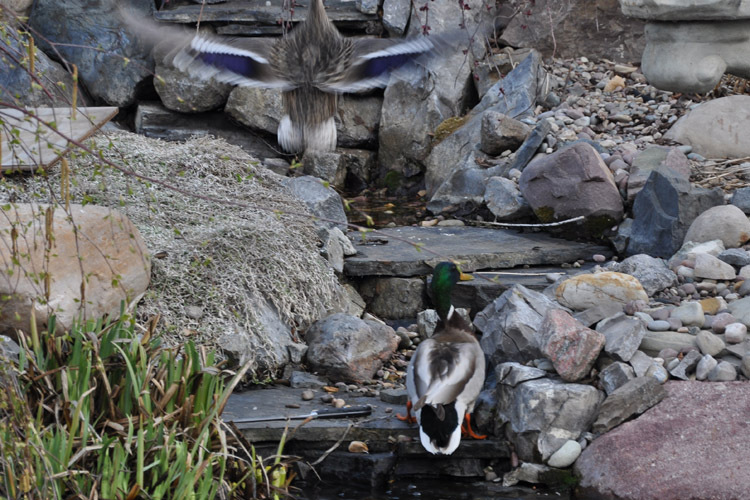 What a treat to enjoy all the amazing wildlife that visit our garden and hang out at the pond. I totally understand why this pair of ducks would like to live at your house. Great photos Don!